Join the SciVal team, along with guest speakers from the University of Queensland and Penn State University, for an interactive webinar. October 21, 2015 – the furthest date in the future that the Back to the Future trilogy was set in is now upon us. It’s the date that Marty McFly, Jennifer and Doc travel to in the DeLorean and where we catch a glimpse of the future brought to us by director Robert Zemeckis. While in the future, they experience some technological marvels – from self-tying shoelaces, to 3D shark holograms, and that famous hoverboard. To mark the occasion, we’ve used SciVal to pull data together to show just how close Marty’s future has come to being our present. Using the SciVal Trends module we looked at 5 specific areas of science – automation, biometrics, wearables, aging and hover (think remote controlled dog walkers, fingerprint scanning doorknobs, power-laces, rejuvenation clinics and hoverboards) – to see who’s doing what. Earlier this year, Dr. Lisa Colledge, Director of Research Metrics at Elsevier, published a Usage Guidebook and an article about the usage-based metrics and tools. 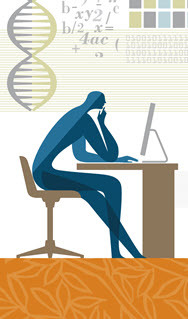 Elsevier has made both available to help you analyze and understand the impact of research. As a follow up to these efforts, a webinar was held to introduce the usage guidebook where participants were asked a number of questions about how they currently use and perceive usage metrics. Around 200 external participants joined from all over the world; the most-represented countries were the United States, the United Kingdom, Russia, Italy and Canada. 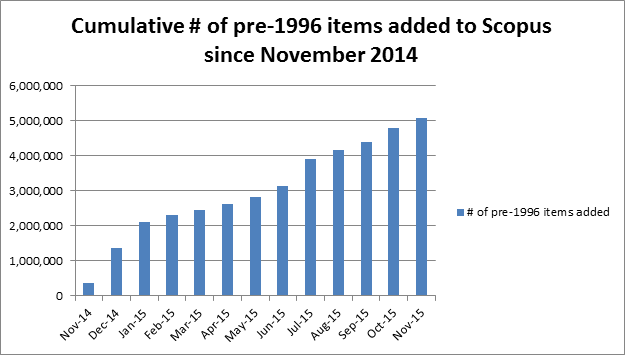 Many of the attendees previously participated in our SciVal Trends launch webinars, which introduced usage as a new data source in SciVal. Trying to decide what to read? 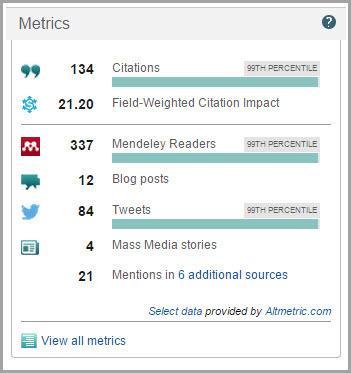 Make more informed decisions with the Article Metrics module in Scopus. 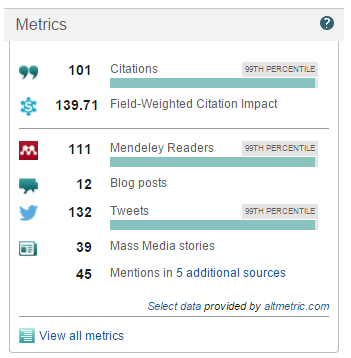 It includes metrics based on four alternative metrics categories endorsed by the Snowball Metrics project and provides you with an at-a-glance look into how an article has been received, looking at both citation impact and levels of community engagement. To learn how to use the Article Metrics module, watch this 2 minute video, or follow the steps below. Watch the 'Using the Right Metrics' webinar to learn more about the metrics available in Scopus!